When Keerthy was signed for the film, she was trolled on social media but the actor has more than proved herself. Mahanati, released on May 9, has gone on to charm audiences and win critical acclaim. And rightly so. Films centered around women characters in south Indian film industries are a rarity, especially big budget flicks. Produced by Vyjayanthi Movies, Mahanati springs a surprise in how expansive the team has been in covering the life of one of India's most-loved women actors. 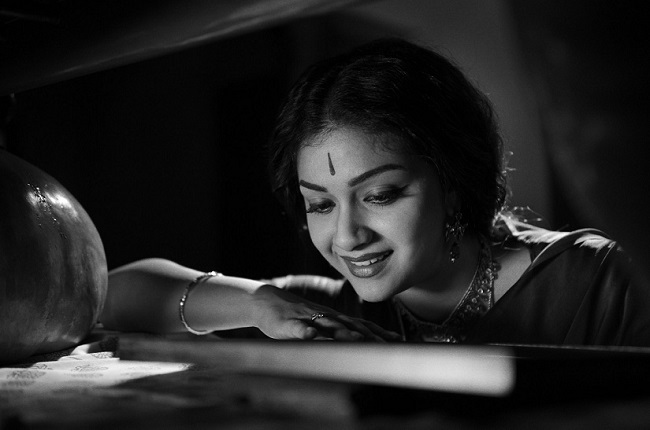 The attention to detail and the pains taken to reconstruct a bygone era are apparent in every frame of Mahanati. Certainly, the film does gloss over some aspects of Savitri's life. The abusive relationship and turbulent marriage that she shared with Gemini Ganesan, another popular star at the time, is not depicted in its entirety. Although the film does not shy away from positioning him as the cause for her spiraling into depression and self-destruction, Gemini Ganesan still gets a somewhat sympathetic treatment. For instance, there are no scenes which depict the physical violence to which he is said to have subjected her. And in the end, we're led to believe he still cared. 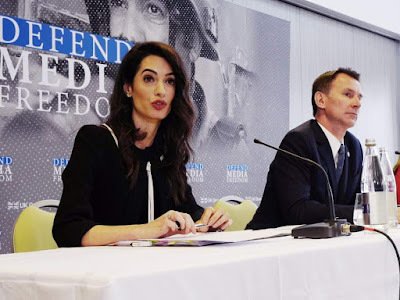 But, in the interest of authenticity, capturing all of those humiliating moments may have crossed over to voyeurism, stripping away the dignity of a star who still continues to move audiences. 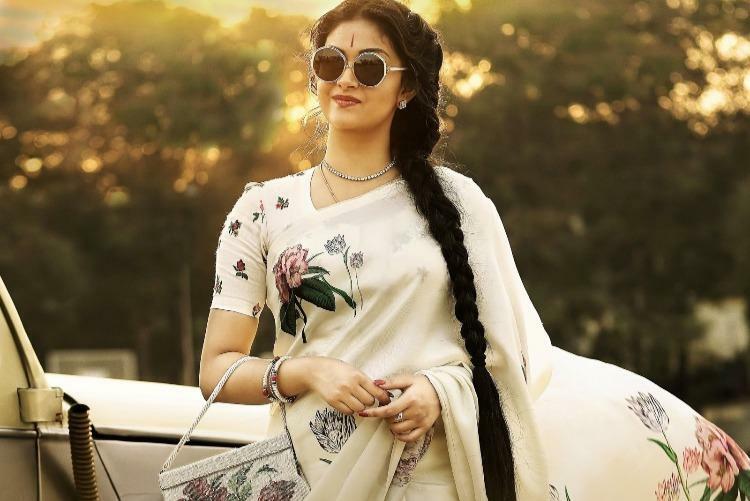 Much of the credit for Mahanati's success and its emotional appeal must go to Keerthy Suresh, an unlikely choice for such a heavyweight role. The actor has confessed that she was hesitant to take up the film. Looking at her career so far, Keerthy has not really shown any signs that she's capable of essaying such a demanding character. Playing a real life person is always challenging. The actor has to look the part, down to the last detail. For instance, although Vidya Balan won the National Award for The Dirty Picture, many from the south said that she did not look at all like Silk Smitha. Manju Warrier, another acting powerhouse, was criticised for her portrayal of writer Madhavi Kutty in Aami. Priyanka Chopra, too, came under flak for playing Mary Kom, a North-Eastern sportswoman. Keerthy Suresh's filmography is nowhere close to the success that these women actors have had. Nithya Menen was the original choice for the film and when she was replaced by Keerthy Suresh, the latter was subjected to quite a bit of social media trolling. How could an actor, who has largely been relegated to playing "cute" and "bubbly" roles, pull off a stalwart like Savitri? That too, in a biopic which would require the actor to depict the same character at different ages? The choice was all the more incongruous because Savitri belonged to an era where women actors had more to do on screen than look pretty, while Keerthy Suresh symbolises contemporary times when the heroine in the Tamil and Telugu industries is little more than a distraction. Savitri, moreover, was not an ordinary actor - people still rave about her performance in films like Mayabazar, Pasamalar and more. With her expressive face, dancing skills, and ability to steal the scene from under the nose of accomplished male actors, Savitri was a giant and Keerthy Suresh seemed too puny in stature to fill in her shoes. Indeed, the wide-eyed and naive adolescent Savitri that Keerthy Suresh portrays in Mahanati is how she has been playing adult women characters for the most part - Thodari and Remo, for instance. In star vehicles like Bairavaa and the more recent Thaana Serntha Koottam, she has been happy to play second fiddle to the hero. While she looked fresh in Rajini Murugan, the role of an uninterested woman pursued relentlessly by the hero was hardly new. In Mahanati, however, Keerthy has proved her mettle. As the teen Savitri, her interpretation could perhaps have been better. It's more of the "bubbly girl" than what an actual 14-15 year old is like. However, as the film progresses and as Savitri grows older, wiser, and heartbroken, Keerthy is exceptional. The first time we see her on screen is at a film set. The glycerin bottle has been broken by accident and the irate director decides to cancel the shoot because he wants his actor (Savitri) to not just cry...but cry from only one eye. Savitri, however, is unfazed. She not only asserts that she can do it, she also asks him how many tears she should shed. And she does what is required in a single take. The confidence the actor had in herself, despite her numerous insecurities, is portrayed beautifully by Keerthy. In some scenes, she is assertive and queen-like - as in the scene when she participates in an audacious car race and wins. In others, you can feel her trembling heart, the deep pain, and melancholy she carries within her - for instance, when she travels to see the photograph of her father of whom she has no memories, only to be disappointed. There's also the scene when she lets out a guttural, animal cry, as she discovers Gemini Ganesan's infidelity, even as those around her are celebrating her success. Keerthy Suresh appears to have lived as Savitri, the woman, if not the actor, during the shoot of the film. The betrayals, frustrations, and the generosity bordering on foolishness that Savitri was known for, come to us without turning melodramatic. Savitri's story is not really unique - film industries are full of tragic women characters who've been exploited by the men around them, for their bodies, wealth and legacy. What's different about Mahanati, is that despite her failures and flaws, the film projects her as an inspiring figure. Let that sink in for a moment - here is a woman, who married a twice-married man, turned into an alcoholic, and even neglected her children, being portrayed as a role model for other women. That's pretty unthinkable in any other mainstream film where such a woman character would have been relentlessly derided. In Mahanati, however, director Nag Ashwin has chosen to add the story of a woman journalist (Vani, played by Samantha), who takes charge of her life after working on a story about Savitri. The portion when a tearful Vani visits Savitri in the hospital is among the most moving scenes in the film. Samantha, like Keerthy Suresh, has largely been stuck doing decorative roles. But in this particular scene, she too seems to have been consumed by Savitri's real life story, much like Keerthy. Vani, who stutters, cannot kickstart her father's Luna in the first attempt, and is a bit of a joke to her editor at her workplace, seems to be the antithesis of 'first take' Savitri. But the young journalist transforms in the course of narrating Savitri's story, succeeding in starting the two-wheeler in the first attempt as she flies towards her freedom. One wonders if it would have been a stronger statement if Vani had decided to move on from her former boyfriend Antony (Vijay Devarakonda), instead of attempting to break up what she thinks is his engagement ceremony as she sets off on the Luna. After all, considering the man trouble Savitri had, this might have made more sense. But then, this is set in the early '80s, and a woman choosing a man from another faith for passion is emancipation enough, one supposes. At least, Antony is mindful of Vani and her choices. Mahanati will be a much talked about film in the history of Telugu cinema. It will be discussed for the exceptional performances of actors like Dulquer Salmaan (who has played Gemini Ganesan), for the costumes and wonderful detailing in the sets, for the impressive cinematography, for the delight of watching old Tamil and Telugu films recreated with respect. And of course, the able direction. But most of all, it will be talked about because of Keerthy Suresh and her commitment towards bringing to life a tragic figure with sensitivity and passion. By the end of the film, we see Savitri and not Keerthy, and that's no mean accomplishment for any nati. Here's hoping Keerthy makes better film choices in future. After Mahanati, it would be a terrible tragedy if she were to go back to lisping lines and making cute faces.